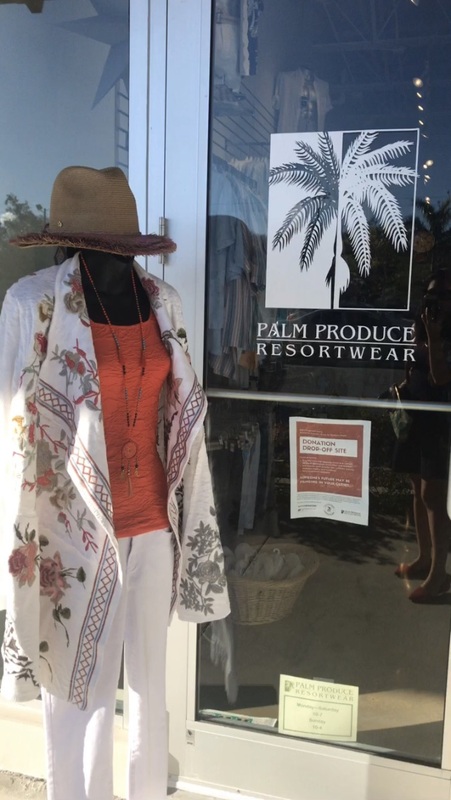 We are excited to announce our new partner: Palm Produce Resortwear! 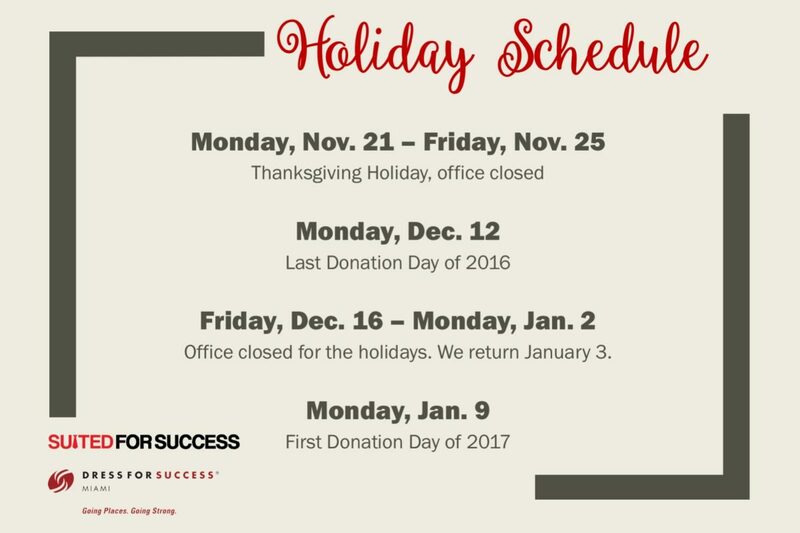 You can now bring your donations of gently used business attire and accessories to their Pinecrest location during store hours. Questions? Contact us at miami@dressforsuccess.org or 305.444.1944. The work of Suited for Success/Dress for Success Miami would not be possible without the support of companies, organizations, and other groups. While we are fortunate to receive donations of business clothing on a weekly basis, which helps suit our clients for their interviews, we also fundraise to support our employment skills training programs. Consider designating Suited for Success/Dress for Success Miami as the event’s charity beneficiary. This is typically done through donating a portion of ticket sales or event proceeds. Work in an office with a strict dress code? Many firms and companies (or even private schools!) 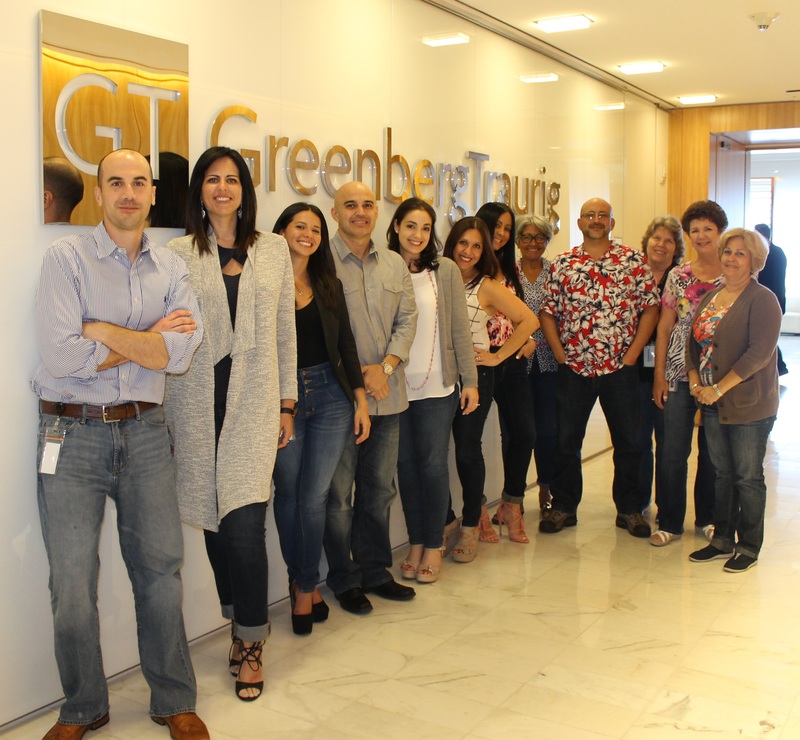 with dress codes will occasionally host a “casual day,” which allows employees to dress down on a weekday for a donation to a specific charity, usually $5-$10. Check with your HR department to find out if your company would be up for this. 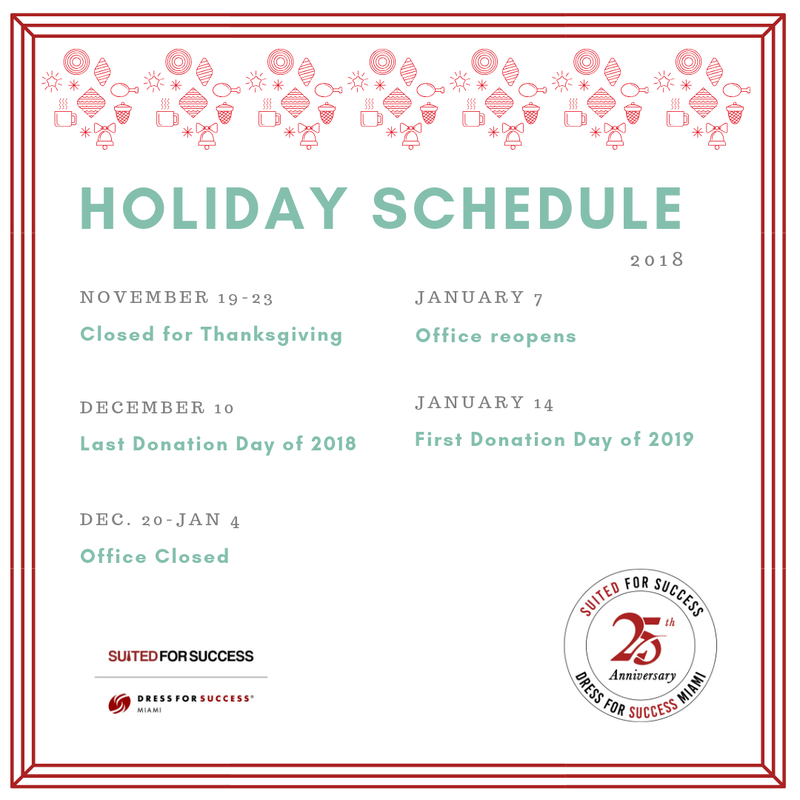 Host a “Suited for Success/Dress for Success Miami” day and donate a portion of the days’ sales while letting your clients know that you give back. 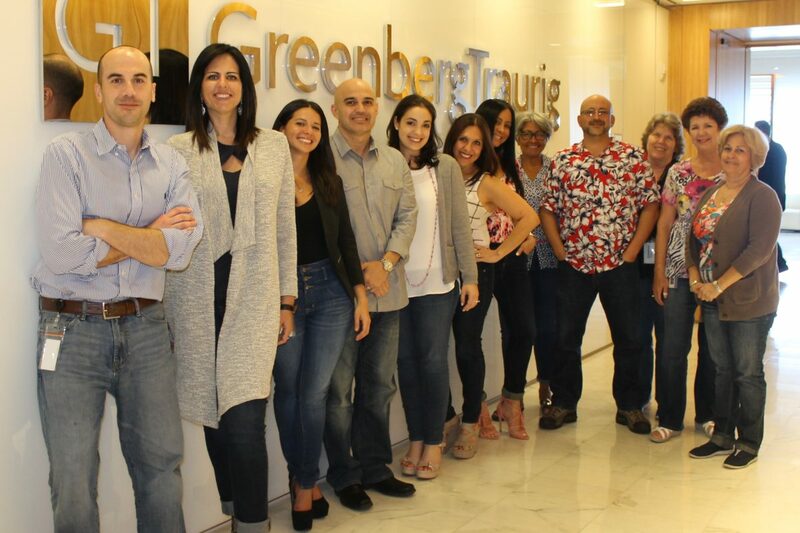 Restaurants and bars can consider hosting a Young Executives for Success networking happy hour, which brings together Miami’s best and brightest young professionals. We are always open to new, creative, and appropriate ideas and partnerships. Prior approval is required for all events and partnerships, at the sole discretion of our management team and Board of Directors. 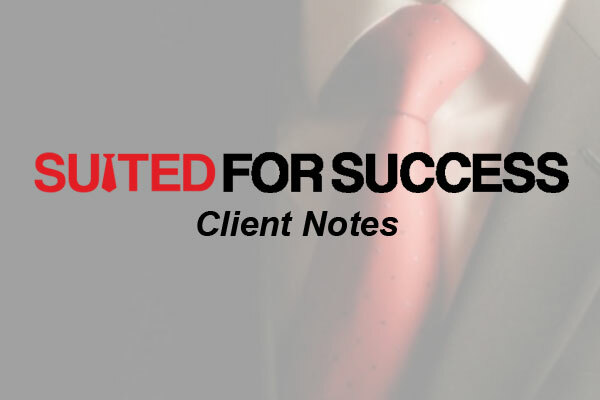 Suited for Success/Dress for Success Miami may, at its discretion, provide promotional support to third-party events, but cannot fund or otherwise host these events. Please contact Angeline Evans at angeline@suitedforsuccess.org at least 6 weeks before your event to begin the process. 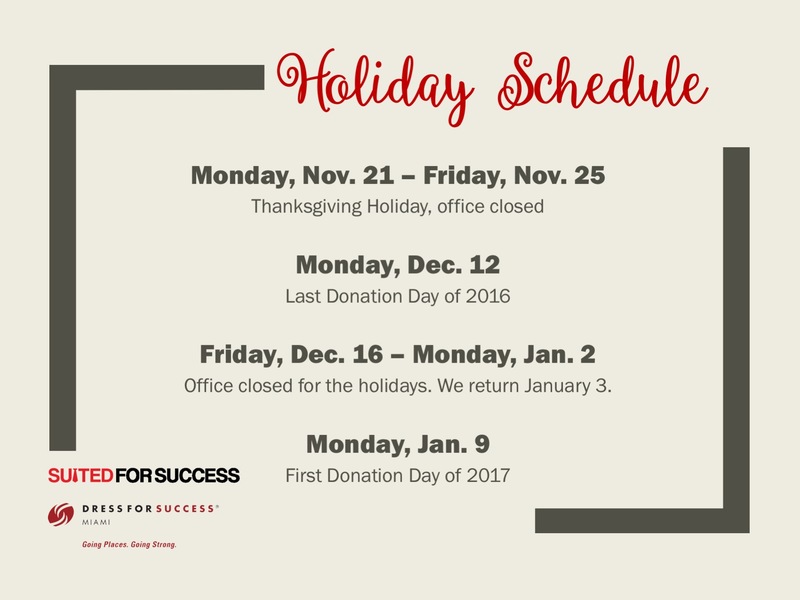 Our dedicated volunteers and staff will be spending the holidays with their loved ones, and we hope you have the opportunity to do the same. We wish you and yours a happy and healthy new year! Thank you so much for the suit you provided. I can now walk into the office with confidence. I am saving now for two new suits it will take time but I will get them as it is needed.